All of the attorneys at ALG have extensive professional and business experience in addition to the practice of law. This combination of knowledge base enables our firm to better understand our clients’ needs, and how they can be met with practical legal solutions. Our attorneys have worked for large multi-national corporations, government agencies and owned their own businesses. They have also worked in education, real estate, public administration, labor relations and human resources. This diversity of experiences compliments our practice of law and gives our clients the advantage of utilizing some of the most well rounded lawyers in the Metro Detroit legal community. 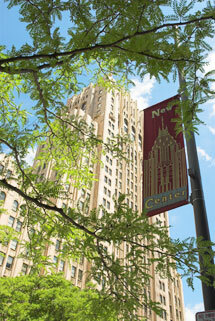 The firm’s lawyers routinely keep abreast of changes and trends in the law, technology and the business world through membership in various legal and business organizations, regular mandatory seminar attendance, and through the utilization of periodical updates and education services offered locally and nationally. This commitment to the continuing education of our attorneys helps to ensure that they better understand the evolving environments in which our clients do business. 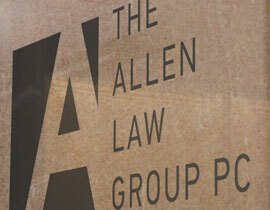 The Allen Law Group, PC is also an active participant in the metropolitan community. Our attorneys participate in a variety of professional associations, and continually look for opportunities to protect and advocate our clients’ interests on all fronts. We currently have attorneys who lead and serve on various non-profit boards, community groups and other public interest organizations throughout Southeastern Michigan. We pride ourselves on not only committing to our clients, but also to the communities in which they exist. The Allen Law Group, PC is an equal opportunity employer and has been certified by the Michigan Minority Supplier Development Council (MMSDC), the County of Wayne Fair Employment Practices and the City of Detroit Human Rights Department as a Detroit Headquartered Business (DHB), Small Business Enterprise (SBE) and Minority-Owned Business Enterprise (MBE).